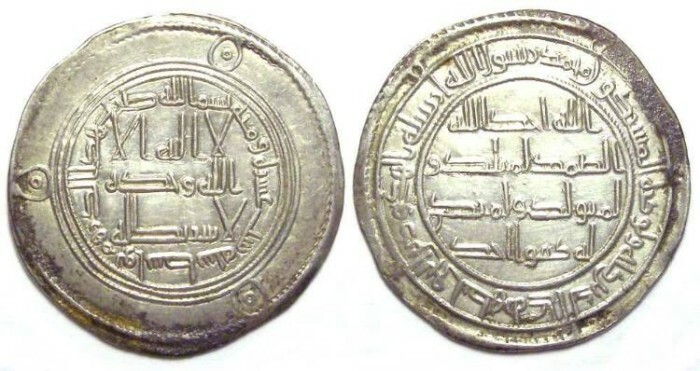 Reformed Umayyad silver dirhems do not name the Caliphs, but the coin are dated which tells us under which Caliph they were struck. Size : 28.5 x 29.4 mm. Weight : 2.90 grams. Grade : XF with minor horn silver. On an large full flan.